Listen to KQKY or KRNY while you are in the Tri City area, the best Radio in Central Nebraska! Skydive Atlas provides skydiving for the state of Nebraska including Omaha, Lincoln, Kearney, Grand Island, Hastings, and Holdrege area at the Corn Fed Boogie. Hundreds of Experienced and First time Skydivers show up every year to Jump for FUN! Come make your first jump or make another jump with Skydive Atlas. Skydive Atlas has provided professional skydiving instruction and service to both business and recreational clients throughout the Midwest. 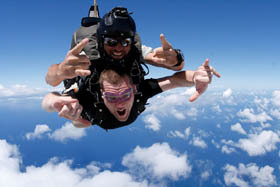 We are based out of Nebraska and travel to small town airports to provide a safe yet exhilarating SKYDIVING experience. Skydive Atlas has a "dream team" of certified instructors that can meet the needs of virtually any event. With thousands of safely completed jumps, Skydive Atlas can assure students and the venues with which it works, a professional skydiving experience! 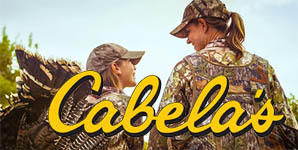 A must see while in Kearney, Quality Hunting, Fishing, Camping and Outdoor Gear at competitive prices. Your home for vehicle wraps and environmental graphics.